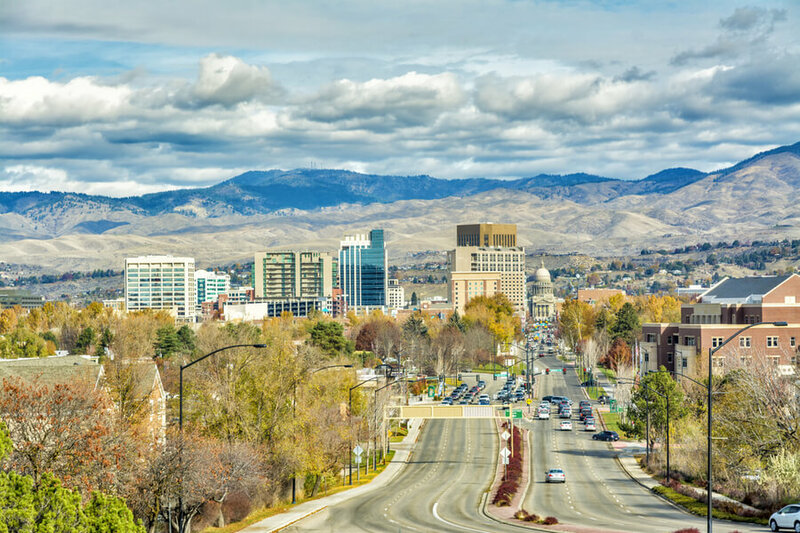 The Walker Center, located in Boise, Idaho, is an addiction treatment center that provides adequate care to adults and teenagers suffering from chemical dependency and substance abuse disorders, seeking outpatient and residential treatment. The organizations operates three locations all in Idaho within the Twin Falls, Boise, and Gooding areas. The facility operate on an individual basis making sure to provide adequate services to meet the needs of all clients. Evidence-based practices like Cognitive Behavioral Therapy or 12-step treatment modalities are incorporated into treatment, blending all principles together to provide the best care. Clients seeking medically monitored detox as well as outpatient treatment will find such continuum of care here. The treatment center offers a myriad of services to individuals registered at the facility and these services include outpatient programs, residential care, detox services, and many more. Although the residential program is only offered to adults (18 years and above), adolescents and adults can also benefit from the outpatient program as it is made available to all. The facility creates an individualized plan for each client and this helps them provide the adequate care needed using personalized approaches. Clients registered in the residential program can benefit from the gender-separate and gender-specific treatment. Medically-monitored detox services are offered to clients who require such, and this program usually lasts for three to seven days, depending on the process. The fee for this process is included in the overall treatment cost. The average duration of stay is dependent on each individual but clients must complete a minimum stay of 28 days. After clients are stabilized during detox, the patient will be moved to residential treatment where intense therapy will begin. During treatment, the staff at the facility incorporates evidence-based modalities such as Cognitive behavioral therapy and more, are utilized throughout the treatment duration. The treatment modality is used during individual and group therapy settings as well. Clients are required to attend all group therapy sessions which are offered on a daily basis and topics addressed include anger management, 12-step introduction, relapse prevention, self-esteem, life skills, and many more. During individual therapy, clients are able to have one-on-one time with their primary therapist and evaluate their goals. This individual therapy holds once weekly unlike group therapy. The cost for outpatient services is roughly $2,500 and it is available to both adolescents and adults. Moral reconation therapy and cognitive behavioral therapy are incorporated all through treatment and group, individual, and family therapy are offered as well. The members of staff are all qualified and professionals ranging from nurses and doctors to Certified Substance Abuse Counselors and Masters-level therapists. The Walker Center currently offers a 42-bed residential facility, which is located within the small town of Gooding and is a spacious, modern facility. The bedrooms are dormitory-style coming fully equipped with attached bathrooms. 12 beds are offered to clients in the detox unit and are moved to the residential unit after detox is completed. Men and Women are housed in separate wings at the facility and all rooms come fully equipped with dressers, twin beds, and desks. Clients can also take advantage of the small gym and the common area which features a Television. Other amenities include therapy rooms, dining hall, offices, and many more. Clients are allowed to smoke but only in designated areas and only during break time. Clients are entitled to three meals a day which is offered to clients by kitchen staff. Clients with dietary restrictions and allergies are put into consideration as well. The facility offers residential treatment services for substance abuse and chemical dependency issues in a monitored and structured environment. Detox services are also offered to clients in need of such care on-site. All treatment plans are individualized and evidence-based treatment modalities are implemented into each program. The Walker Center costs $10, 250 for a 30-day treatment at the facility. Prices are subject to change depending on treatment offered and services rendered. Patients will be required to submit the necessary documents needed for insurance verification and admission. The facility accepts most commercial insurance plans such as United Behavioral Health, Blue Cross Blue Shield, Medicaid, Cigna, Optum, and many more. Clients seeking more clarity on issues are advised to contact the facility. The treatment center offers family programs to clients registered in the residential program and their loved ones. Family group therapy is offered in the evenings for six days each month. During this program, issues such as healthy communication, relapse prevention, coping skills, codependency, boundaries, and more are addressed. The facility’s programs are heavily based on evidence-based treatment modalities and clients gain healing at different rates and paces, as no two clients are the same. During therapy and counseling sessions, clients are able to understand triggers and learn new ways of coping with issues. Clients seeking a facility that offers outpatient and residential services to adolescents and individuals will find The Walker Center to be a good option. Deborah holds a graduate degree from the Xavier University in Community and Agency Counseling and has over 15 years of experience working in the behavioral health sector. She is licensed to practice professional counseling and started her career at the facility in 2007 as a Clinical Director. Reid is board certified to be a family physician and helps clients attain sobriety using available medication. He has served at the facility for over 16 years and believes in compassionate treatment to individuals struggling with addiction. Carmalin holds a Master’s degree in psychology and has over 21 years of experience working in the substance abuse treatment sector. She is also certified to practice international alcohol and drug counseling.